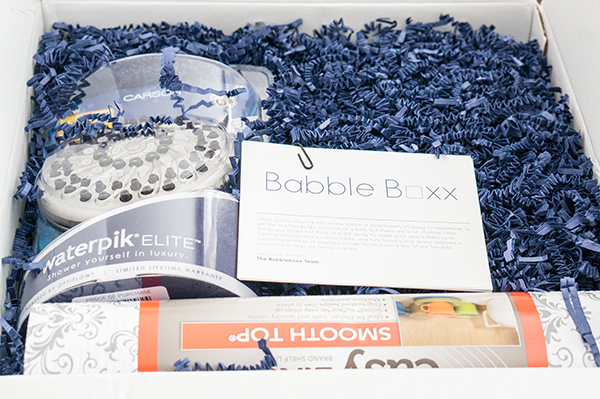 Recently, I received a New Home Owners Babblebox full of amazing products to test out. They are far better than your average house gifts. 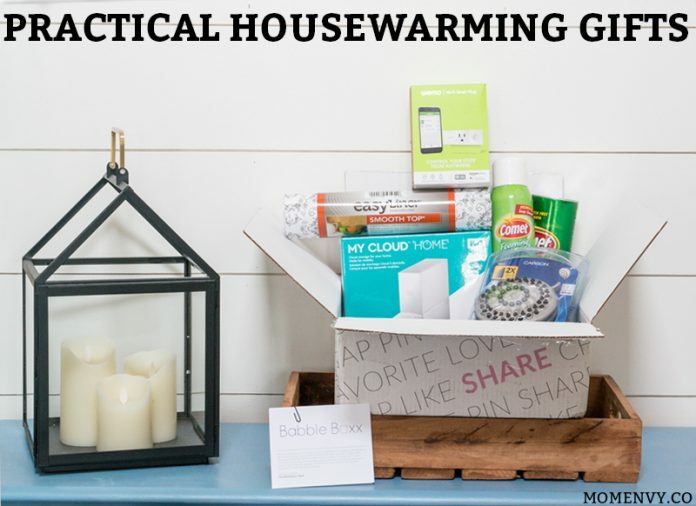 These are some practical housewarming gifts that people would actually love to receive. This box couldn’t have come at a better time. We have some big things happening in our home right now and I can’t wait to tell you all about it at the end of this post. But first, let me tell you a little bit about these great products I got to test out. 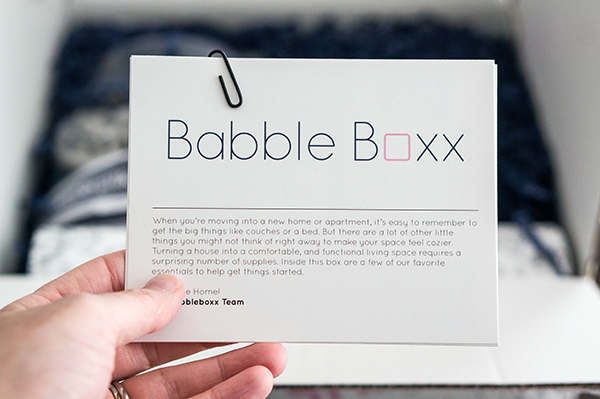 I love the little note that came with the Babble Boxx. 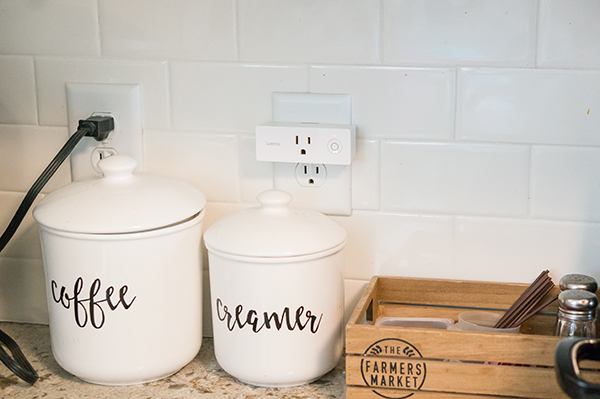 It really is so true, when you move into your home you often forget about all of the little things you’ll need (and they add up fast!) 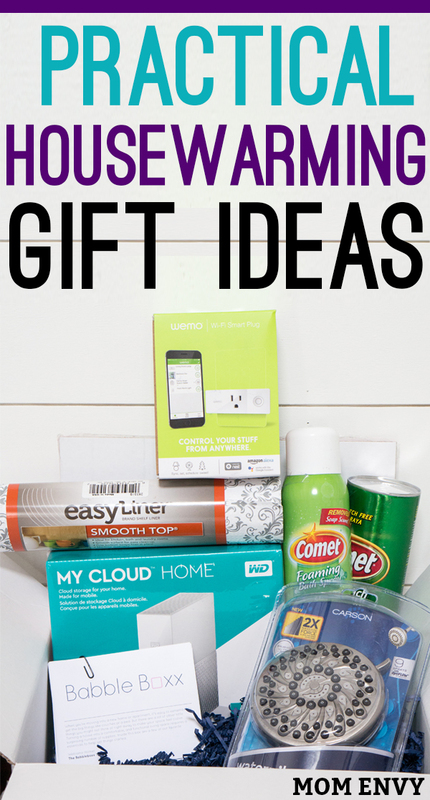 It’s why giving practical housewarming gifts is such a better idea than something like a plant. 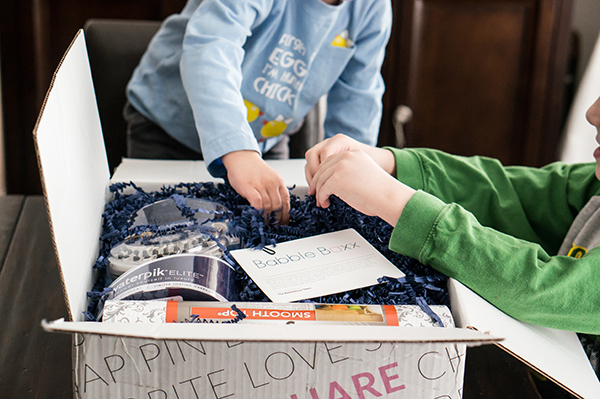 Getting so many great products for the home felt like Christmas (my boys loved it, too. Wrap anything like a present and it suddenly becomes much more exciting). The first item I pulled out of the box and set up was the My Cloud Home from WD. It’s a cloud storage device that allows you to store all of your digital files in one location – and I don’t just mean one computer’s files. I mean every device you own with digital files. This would make a great housewarming gift. Honestly, it would be a thoughtful and practical gift for any occasion! Who doesn’t have digital content to back up? One of my favorite things about this device is how easy it was to set up and use with all of my devices. I was able to set it up with my laptop, my phone, and my husband’s phone in less than 20 minutes. And, I was able to set up separate, private access for both my husband and I (that way he doesn’t accidentally see pictures of Christmas gift ideas or handmade Anniversary gifts I am working on). It does have to be near the router so that it can be plugged directly into the router. That was no problem for us, we were able to set them right next to each other. No more worrying about whether or not my files have been backed up when I load new pictures onto my computer of our family events or take a new shot on my phone. It gives me such a great peace of mind to know that my files are always being backed up. Another option is that you can import photos and videos from flash drives, external hard drives, Facebook, Dropbox, and Google Drive. 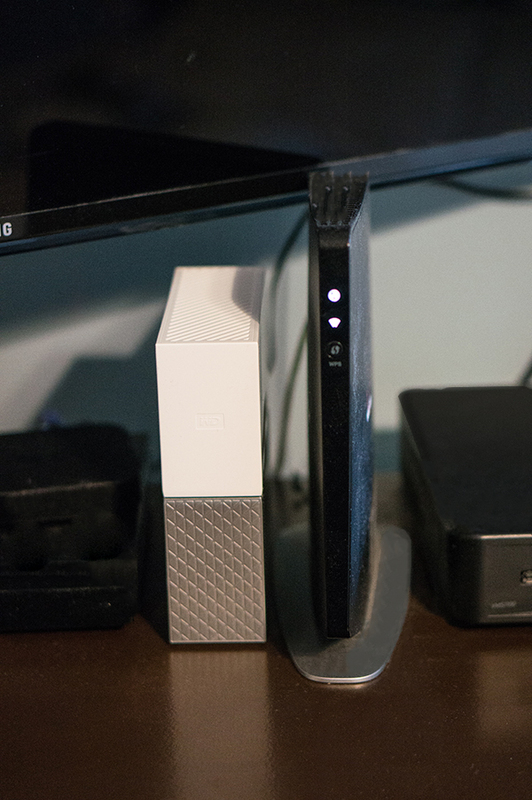 It really makes it so easy to back up all of your digital content. And guess what? 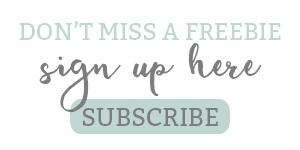 It has NO monthly fee. That’s right! It’s your own personal cloud system that doesn’t cost you any additional money after you purchase it. All it needs is to be connected to the internet to work. I don’t know about you, but I have way too so many pictures of my kids, dog, and random things on my phone. My phone is always filling up and then I miss new photo-worthy moments. By using the My Cloud Home, I can delete old pics and keep snapping away. 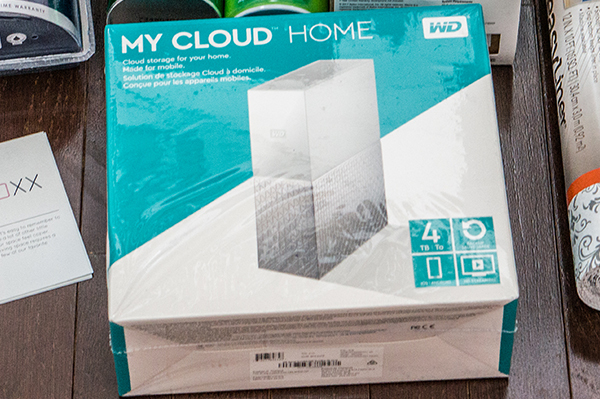 If you’re interested in purchasing The WD My Cloud Home, you can head to Best Buy or other popular retailers around the world. U.S. MSRPs are for the various size units are: 2TB/$159.99, 3TB/$179.99, 4TB/$199.99, 6TB/$259.99 and 8TB/$319.99. (Coupon Code Restrictions: Valid for one use per shopper, Expires 4/30/18 and Cannot be combined with any other promotional offer). The next products I tested out were the Bleach Powder and Foaming Bath Sprays from Comet®. This trusted brand’s cleaning products didn’t disappoint. 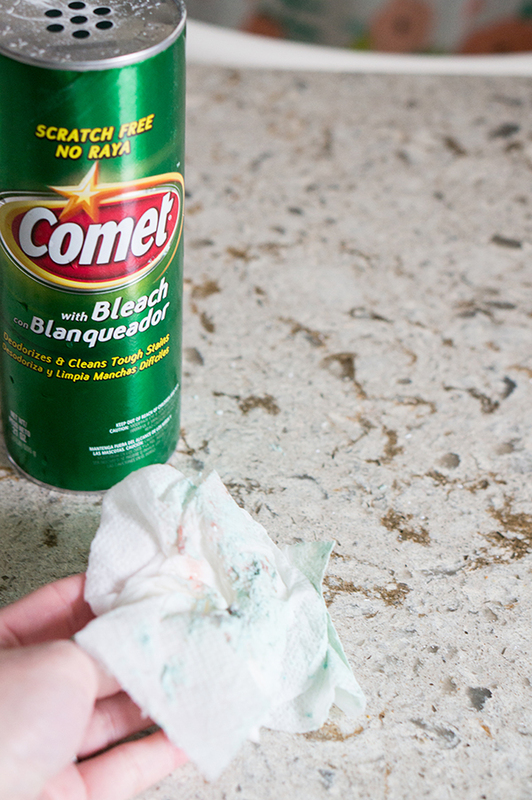 Comet® Bleach Powder is a multi-surface cleaning product that can be used on stovetops, in bathrooms, countertops, and floors. It can help clean up all of those not so fun messes that come with little kids (mud, dirt, food smeared on the floor, etc). 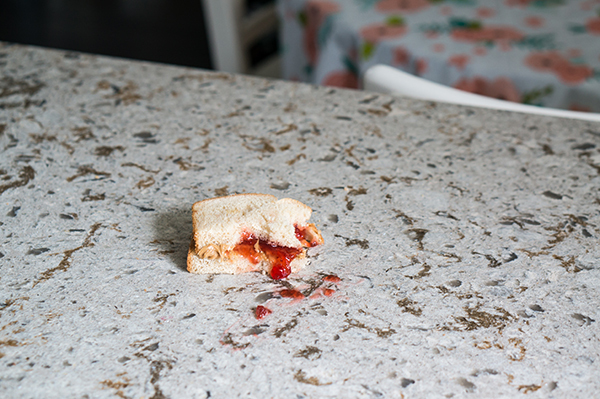 Just recently one of my little ones decided to leave me a special treat – their half-eaten peanut butter and jelly sandwich on my kitchen counter. By the time I found it, it was a sticky stuck on mess. 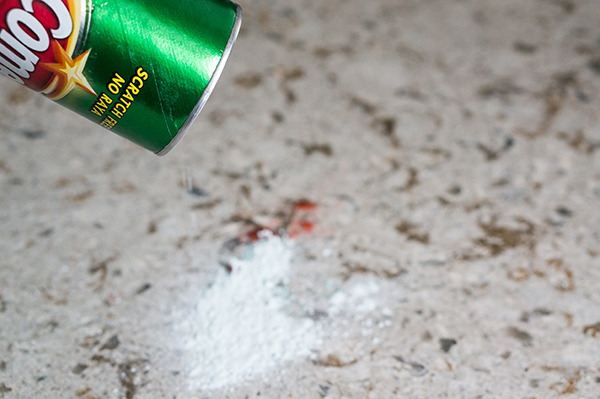 The Comet® Bleach Powder made clean up a breeze. Their Foaming Bath Spray can clean all surfaces within the bathroom (and you can honestly use it within a kitchen, too!) Just spray and wipe clean! It has a clean, fresh scent that isn’t overpowering. It left my bathroom clean and shiny. 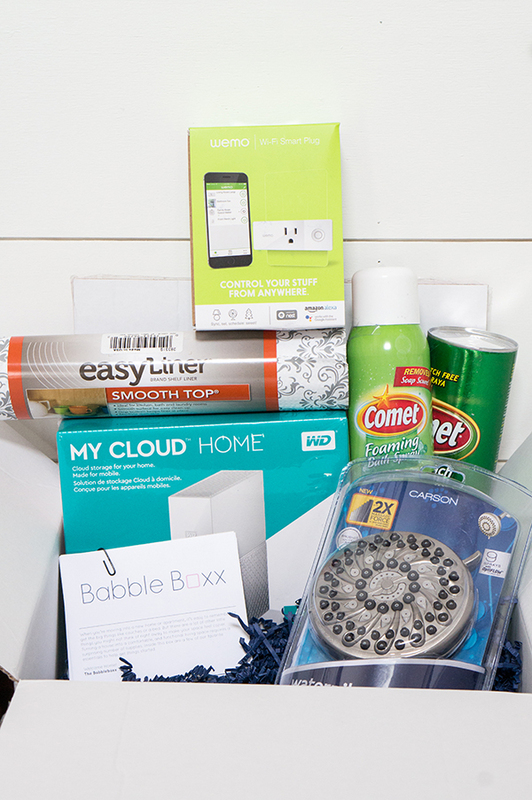 One practical housewarming gift could be to include Comet® products in a gift basket filled with cleaning supplies and tools. You could fill a bucket with Comet® products, sponges, paper towel rolls, rags, and more. Everyone needs cleaning products and most people would rather receive something useful as a gift instead of a knick-knack or bouquet of flowers. To find out more about the ingredients and usage, visit www.cometcleaner.com, or find them on Facebook & Instagram. 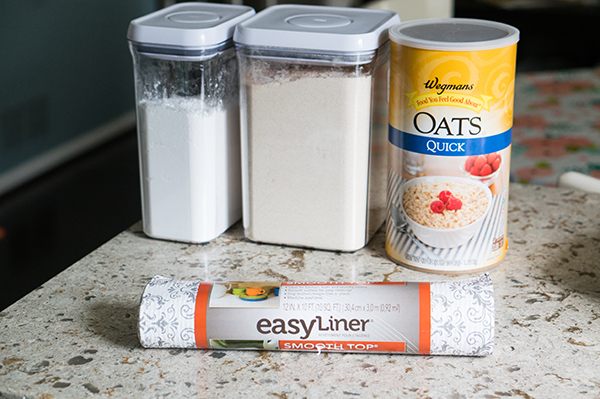 The next product would help your friend take the organization of their cabinets or pantry to another level with Smooth Top® Easy Liner® Brand Shelf Liner. It comes in a variety of patterns to meet any style. You can find it in 12″ and 20″ widths at stores online and retailers nationwide. It retails around $5-$6 per roll. 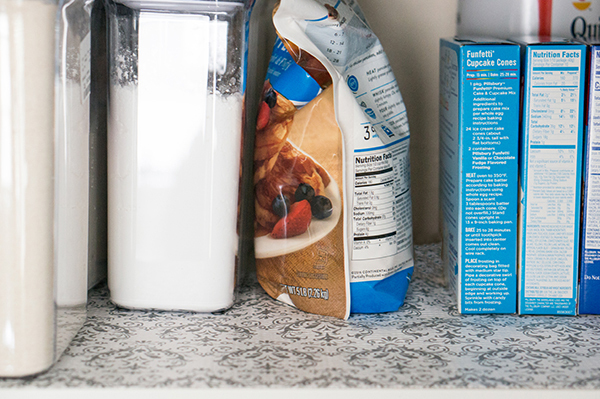 Unlike many other types of shelf liner, Smooth Top® Easy Liner®, shelf liners aren’t sticky on the bottom. I love that their not because it means they can easily be removed for a deep clean or to put someplace else. I was able to quickly cut and install my new liner in my pantry with no difficulty. It took just a few minutes and only a pair of scissors to complete. 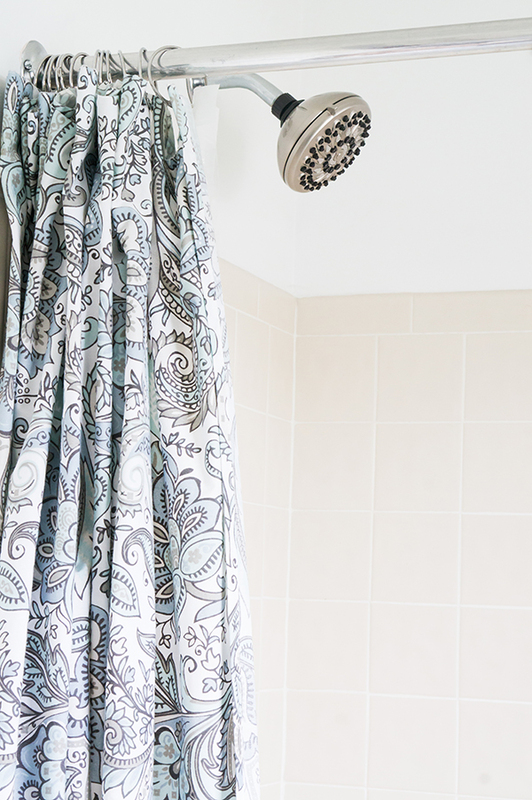 The PowerPulse Massage® by Waterpik I received is a big upgrade from our previous shower head. They aren’t kidding when they say it has up to 2x the massage force of other standard shower heads. It was SO easy to install (it took me less than 5 minutes). When I first tested it, I was shocked that the water stream shot from one end of the shower to the other wall. I quickly realized I would have to adjust the angle of the showerhead differently than my previous one because the PowerPulse Massage®’s water pressure is far superior. The Waterpik PowerPulse Massage® would be a great wake-up in the morning with it’s invigorating, deeper, more powerful massage. Or, it would be the perfect way to relax in a shower after a long stressful day. It truly is like a shower massage – I felt like I was in a spa. The Waterpik just introduced the new PowerPulse Massage® technology that delivers 2x the massage force of Delta and Moen showers. It’s more powerful than any shower head I have ever had. If you’re looking for a practical housewarming gift for a friend, this would be perfect. 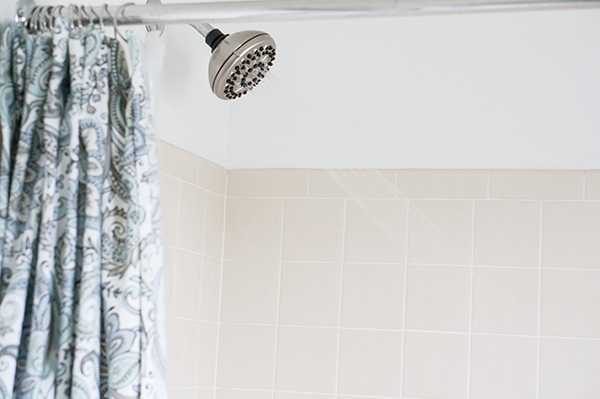 After long, stressful nights of unpacking and organizing, a shower with the Waterpik PowerPulse Massage® would be a welcome present. 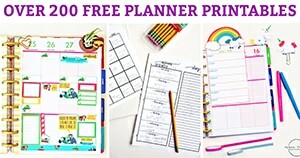 Right now, you can save $10 when you visit Waterpik.com. I’d be lying if I didn’t say that I want to buy lots and lots of the Wemo Mini Wi-Fi Smart Plugs and install them all over my house. It was so simple to install and use and made me feel like we were living in the future. First, let me explain what it is. It’s a device that you plug into the wall and then plug something into it that you want to be able to control remotely. Then, you use an app to turn the device on and off (which turns whatever you plugged in on and off). It may sound complicated but it was super easy to install. I plugged it into the wall, downloaded the free app, connected it to my Wi-Fi, and I was done. It even comes with a handy installation guide that walked me right through it. I was able to get it installed in less than 5 minutes. Once I got it working, I took it all over the house to test. My favorite part was pretending to have special powers in my youngest sons room by turning his lamp on and off without touching it. I was amazed to find out that you can control it from anywhere in the world. You can set up schedules and timers and even use your Amazon Echo or Google Home to control it. If you have a friend that wants a Smart Home, it would be such a thoughtful house gift. So many people today care more about creating a home automation system rather than filling their home with tchotchkes that have no function. 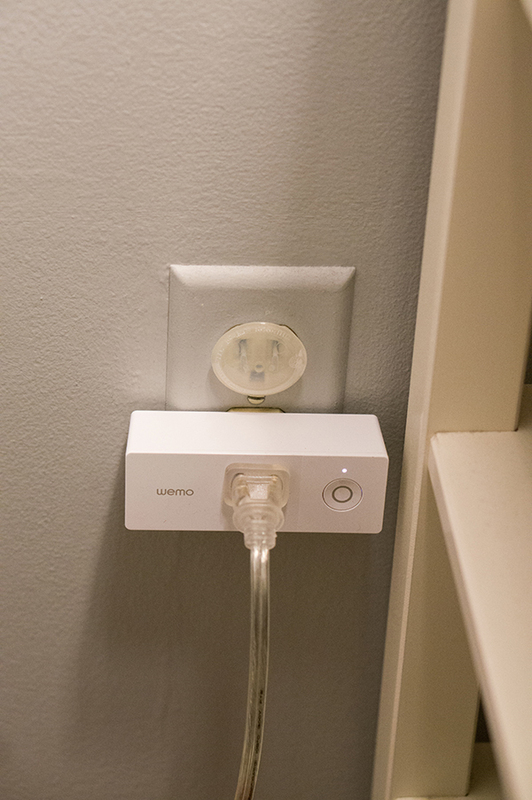 The Wemo Mini Wi-fi Smart Plug is totally a practical housewarming gift. Of all of the things I tested it with, I know the two favorite things I will use it for. The first is for my crock pot. 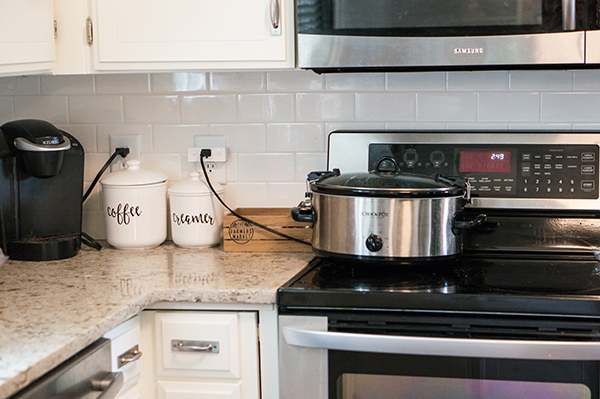 Now, I know that crock pots have gotten a bad rap lately due to a popular television show (believe me, I was just as heartbroken as the next fan). But I really can’t live without my crockpot. The problem I have is that I have yet to update to a crockpot that has a timer. So Instead, I was able to plug my crockpot into my Wemo Mini Wi-fi Smart Plug and use it to schedule when my crockpot turned on while I was out running errands. The second use, which is probably my favorite use, was to plug my son’s light into the device. Our son has the unique ability to sleep anywhere in his room. 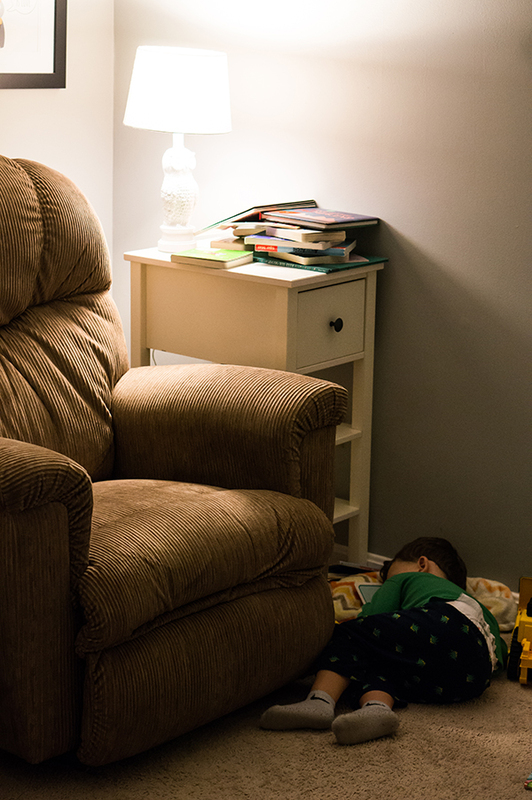 Often times, he turns his lamp on before he finds a corner to fall asleep in. The problem is that if he wakes up and the light is still on, he gets confused and upset. So each night, after he finally settles down, one of us my husband has to sneak in to turn off his lamp. Sometimes this can be tricky, as you can see in this picture from his nap the other day. His lamp was a little out of reach without squishing his sweet little leg under the chair. Thankfully, I had already installed the device and I was able to turn it off with the app on my phone. Here’s how easy it was to turn on and off the light using my Wemo Mini. Step out of the box the next time you head to a housewarming party – stick to some practical housewarming gifts rather than the old standards. Your friends will thank you for being thoughtful and for giving a unique gift that will help them get settled in their new home. So there is a reason that I have been a little MIA lately on social media and on my blog. Things have been pretty hectic here at our home, for a good reason. And this box couldn’t have come at a better time because we are preparing our home to sell. Yep, we are leaving what we thought would be our forever home. Honestly, it still feels strange to stay out loud. After many life changes, we realized that this house, although perfect in many ways, just doesn’t fit our needs anymore. The main difference is my husband now works from home (in our unfinished basement – which is definitely no fun). 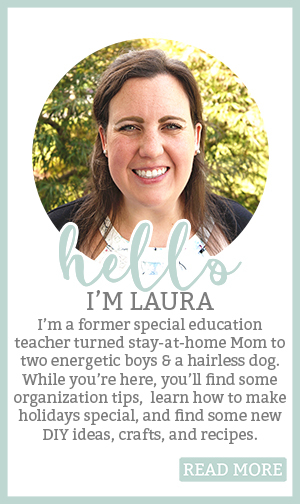 Plus, I now require a space of my own as well as a SAHM/WAHM that is building a business. Over the next 6-8 months, we will be building our dream home – it will be a custom build on a piece of land that we are settling on tomorrow. We will sell our home and live in a temporary place (rental of some sort) until our house is finished being built. And while it may be our dream home, it will not be super fancy or overly extravagant. Just a simple, warm home for our family. 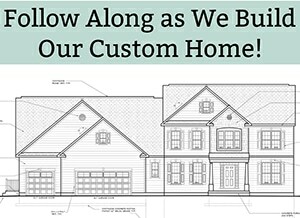 I can’t wait to share with you all of the details of the process including how we have been prepping our house to sell, the custom build process, choosing a builder, our floor plan, and more! This will definitely not be your ordinary house build (more on that later). 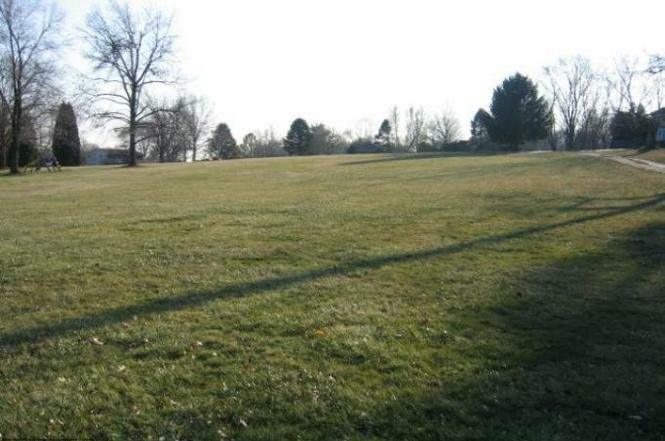 But for now, here’s a quick picture of a portion of our land. 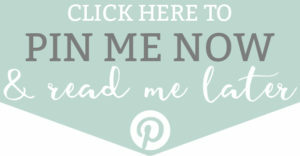 Previous articleHow to Set Up a Nursery – Tips for Organizing Baby Clothes and more! Yay!!!!! How exciting!!!!! I’m glad you will be able to build your dream home! !